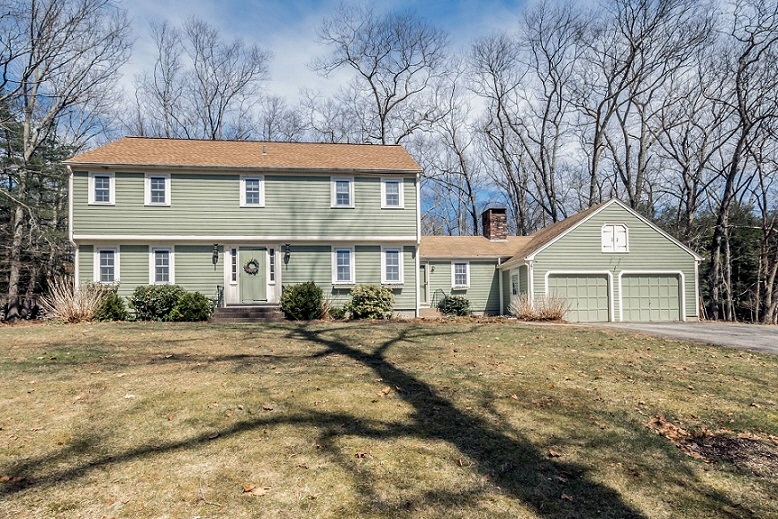 Description: Beautifully maintained colonial home set on 1.56 acres in a cul-de-sac location! Privacy abounds! Quality built home with a spacious and sprawling floor plan and lots of natural light. Features include a remodeled kitchen with breakfast nook, formal dining room, living room, family room that features a great fireplace with a pellet stove insert, hardwood floors through most of the home, and replacement windows and 8 year old roof! Move right in and enjoy the spectacular, level yard. Bedrooms are spacious, and the finished lower level adds about 500 square feet - great office space, rec room, workout space, etc. This is a really great home in a terrific location - you don't want to miss this one!